The Top Ten World's Most Dangerous Cities Or Actual Places To Hunt For Real Paranormal Activity Cryptids, UFO's And Ghosts In The World Today! The Top Ten World's Most Dangerous Cities Or Actual Places To Hunt For Real Paranormal Activity, Cryptids, UFO's And Ghosts In The World Today! If you love a little danger and risk of actually dying while hunting for ghosts, chasing cryptids like yeti and bigfoot, or encountering real aliens and UFO's. Then you have found the Top Ten most haunted hotspots list of the most dangerous places that you could ever ghost hunt for the real paranormal activity that is off the charts. In doing my research I have spoken to many people in the field of Paranormal Investigation and polled them for their choices in helping me to define this list to where they would feel most afraid to search for real paranormal activity. They all agreed 100% that these places on the list would personally scare them to death. These in my belief makes me realize that these the worlds most haunted real places in this world, that would actually frightened the most well adept ghost hunters, cryptid chasers and UFO investigators. these locations have many secrets to reveal and it might take centuries to figure out all the sorted hauntings, sightings and encounters that occur at the the most haunted off limit locations in the world. "Opinions on one way traveling insurance reflect the views of the authors, Insurance Sector does not take institutional positions. Outgoing links do not constitute an endorsement." CNN.com The world's most dangerous cities? - CNN.com has a great haunted scariest photo set as well as BBC NEWS | Americas | Inside Mexico's most dangerous city. These "The most haunted dangerous places on Earth's Top Ten Places". Seem to be places where the afterlife strange stories of local urban legends and the real paranormal activity that haunts those there trying to survive. I have visited actual what I beleieve to be haunted places like Aokigahara, the forest at the bottom of Mt. Fuji, it is as many will tell you a depressing place and a very popular location for commiting suicide. This gives rise to a widespread belief that it is haunted. I have also visited Port Arthur, Tasmania. A large number of visitors to the site have told me that they have seen spectres of past convicts and others wandering through the grounds. Stories of ghostly interactions are recorded from the 1870s to the present day with many of these modern sighting recorded on the nightly ghost tours held at the site. but locations like these although being the most haunted are also pretty safe to visit. "The Top Ten World's Most Dangerous Places To Hunt For Real Paranormal Activity Cryptid's, UFO's And Ghosts In The World Today!" The World's Most Dangerous Countries are often the most haunted. And no place is more haunted by ghosts and strange presences then in Baghdad Iraq. Many young soldiers have reported to me personally that they see ghosts on a daily basis. and many paranormal encounters are going there that defy explanation. From being haunted by the ghosts of lost comrades. to those killed in bombings. the ghosts of Baghdad are the most active in the world today. And certainly the most dangerous place to be exploring the paranormal goings on. The risk of losing ones life and you becoming a real ghost while investigating actual ghosts and hauntings could never be higher then of course in Baghdad Iraq. I get many emails from our fighting men telling me of ghost encounters while out on patrol or when they are even on their down time. The ghosts of friends comrades and strangers often haunt our fighting men as the tell me in their letters. Many witness apparitions of the fallen victims of this war. Afghanistan tops Forbes.com's list of the world's most dangerous countries. "Even with thousands of private security and army personnel there (and 20,000 more U.S. troops to be deployed), certain parts of the country, like the region bordering Pakistan--where it's said that nearly every resident owns some sort of automatic weapon for protection's sake--are hotbeds of violence. In my heart I have to say this decision I have made to make Afghanistan the most haunted location and the most dangerous place to hunt ghosts is not an easy one to make. I pray for our boys over their and their families every night and day with out rest. And to personally think they have to deal with such life threatening dangers everyday much have to live with the constant paranormal experiences they are having. I get letters from soldiers all the time asking me to help them deal with their haunted lives. I work often with those that have returned here after their personal tours to find that they are still not recovered from the constant strain from being there and the ghost that still actually haunt them. Many tell of demonic encounters. and meeting with possessed individuals. Tales of sightings of real ghosts. Lycan like beasts chewing on the dead, strange forms and shadows and UFO's in the night And a chance to lose your own life at every turn. I have gotten a few emails about this most haunted hotspot as well as seen what were believed by the person to be real ghosts photos of the dead that wander this location. Many say they have seen mangled apparitions haunting the road day and night. The official name of this stretch is North Yungas Road, but it's better known as El Camino de la Muerte or "The Road of Death." Located northeast of the capital city of La Paz in Bolivia, it is officially the most dangerous road in the world with as many as 300 people losing their lives each year while driving its length. We're not just talking about crashes either, many cars simply go over the edge. On Death Road, guardrails are not prevalent and at places it narrows to a single lane of just about 10 feet, which is especially disturbing considering that the drop off is almost 2,000 feet. Still, thousands of tourists come each year for the views and the right to say they survived the world's most terrifying drive. The hilly rainforest road also attracts mountain bikers looking for an adrenaline rush (at least 15 of them have died along the route in the past decade). At over 12,300 feet, New Zealand's highest peak is known to the local people as Aoraki, which means "cloud piercer" in the Maori language. Indeed, it's where Sir Edmund Hillary practiced before his attempt on Everest. And the national park surrounding Mt. Cook towers with avalanche-prone peaks and creaking glaciers that draw tourists in droves. Those hardier visitors inspired to attempt scaling Mt. Cook should consider themselves warned. In addition to the usual perils (avalanches and crevasses) associated with ice climbing, severe weather that makes rescue difficult has taken the lives of visitors, too (in total, 70 people have died on Mt. Cook since records have been kept). And it's not just the amateurs that run into trouble. In 2008, a Japanese mountain guide died after six days of being stuck near the summit in foul weather that delayed rescue attempts. Little more than a week later, an Australian doctor perished in a fall. And multiple deaths have also been reported on the easiest routes to the summit. If you're planning to hike or climb. As many around the world today know that related Gang violence is surging in Mexico. This is a place where over40,000 soldiers have been deployed across the country to root out the powerful lords o Satan's great darkness the drug cartels. Beheadings are common thing, out right shootings and serious mortal attacks on police, and shootings of innocent bystanders in clubs and restaurants are a daily occurrence in some regions. And as you can tell so are the spontaneous hauntings. One of the worst areas for the violence has been the border city of Juarez, where thousands of Mexican troops are now trying to re-establish control. Hunting and searching for real ghosts and hauntings in Mexico's most dangerous city is in my humble opinion just a lot more then nerve-wracking, to say the least. Personally I have communicated in past years with many who have hunted for ghosts and even a bigfoot or real live chupacabra and they personally relate to me that they would not attempt an investigation here no matter what proof someone would offer to share with them. In a statement released by the Pakistan Federal Union of Journalists (PFUJ) said that Karachi was becoming a dangerous city for journalists. (Urdu: کراچی, Sindhi: ڪراچي) is the largest city, main seaport and the financial capital of Pakistan, and the capital of the province of Sindh. With a city population of 15.5 million, Karachi is one of the world's largest cities, 13th largest urban agglomeration and the 20th largest metropolitan area in the world. It is Pakistan's premier centre of banking, industry, and trade. Karachi is home to Pakistan's largest corporations, including those that are involved in textiles, shipping, automotive industry, entertainment, the arts, fashion, advertising, publishing, software development and medical research. The city is a major hub of higher education in South Asia and the wider Islamic world. Karachi is ranked as a Beta world city. Karachi enjoys its prominent position because of its geographical location on a bay, making it the financial capital of the country. It is one of the fastest growing cities in the world. It was the original capital of Pakistan until the construction of Islamabad and is the location of the Port of Karachi and Port Bin Qasim, one of the region's largest and busiest ports. After the partition of India and the independence of Pakistan, the city's population increased dramatically when hundreds of thousands of migrants from India, East Pakistan (later Bangladesh) and other parts of South Asia came to settle in the city. Next to india for being the most haunted country in the area Pakistan out numbers them for the most sightings of ghosts and other strange paranormal beings. The majority of contacts I receive from Caracas often tell tales of black magic and forms of voodoo hoodoo type hauntings. curses and strange ghosts that scream names in the night. Many who I questioned refered me to Mogadishu as this being a very must haunted dangerous real location to put on the list. I have gotten many emails from real haunted individuals that have had seriously strange paranormal encounters from witch doctors putting spells on them to actual hauntings that they describe that are off the scale of recorded documentation of real paranormal activity. Real or not the mental state of those that can and so write to me often tell of strange ghosts photos and a feeling of dread! Murder and robbery stats have been very high for many years in Capetown. In one year they had 71,500 sexual offenses, 18,400 burglaries and 13,900 business robberies. There are approximatly 50 murders a day in South Africa, and more than 1/2 of those murders are in Capetown. The city is in a huge recession making robberies very common. Capetown is in a great state of poverty, making crime a part of the peoples everyday life. Going out at night is not advised. Emails I get from Rio often tell of Vampires in the night ghosts and hauntings of revenge and many strange curses afflicting those that live there as well as visit. And of course id you plan to travel to these the most haunted scariest destinations and places to hunt for the afterlife... Then you possibly will find it! And not with your ghost hunting equipment you take along. LISA LEE HARP WAUGH is a real live practicing necromancer in the 21st century. A photo of Rigo and Lisa Lee Harp Waugh Standing outside of the Jefferson Hotel trying to find their way to Annie Skinners' looking for the real spirits that haunt Jefferson, Texas. She is by what may call a real conduit to the world of the dead. She dressers in ceremonial robes, draws magical circles on the floor and commands spirits from Heaven, Hell and all places in between to appear before her and communicate with the living. As a teenager she studied heavily The Black Arts by Richard Cavendish and The Grand Grimoire by A.E Waite, the Malleus Maleficarum and anything she could get her hands on by the great by Eliphas Levi, John Dee and the great beast, Aleister Crowley. Hauntedamericatours.com presents the Ghost Hunter or Paranomal expert of the day John Zaffis. 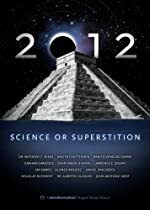 John Zaffis investigated thousands of reports pertaining to the supernatural and preternatural throughout the United States as well as many other parts of the world. He also conducts lectures on such topics as haunted houses, exorcism, and poltergeist phenomena at universities throughout the country. New Gravity Media conducted an interview with John about the Paranormal Museum. Also be sure to keep an eye out for John's two forthcoming books: "The Struggle Within" and "Possessed Possessions"
John Zaffis (born 1955) is a paranormal researcher and demonoligist was born and based in Connecticut, United States. He runs the Paranormal and Demonology Research Society of New England, which he founded in 1998. Research has taken Zaffis all over the United States, as well as Canada, England, and Scotland. He lectures at colleges, universities, and libraries throughout the United States. In the 2008 docudrama, Zaffis plays himself as the demonologist. He also starred in and wrote the documentary film Museum of the Paranormal, which was released in spring 2010 and produced by New Gravity Media. is NOW AVAILABLE for purchase online! Click HERE to check it out! BUY THE BOOK HERE NOW! John Zaffis is a world-renowned psychic researcher who has investigated thousands of reports of alleged hauntings and witnessed and assisted in over 85 exorcisms to date. He has witnessed and documented levitating furniture, physical attacks by unseen entities and many other inexplicable actions encompassing the supernatural and preternatural. Zaffis also has accumulated thousands of artifacts from case studies including haunted Voodoo dolls, sacrificial swords, and other eerie artifacts from the field. Shadows of the Dark is John Zaffis' extraordinary life story as documented through his case files. This written work is the life, testimony, and frightening recollection of one of today's top ghost busters. Worcester, Massachusetts. During prohibition, a speakeasy was operated out of the basement of the Vernon. History suggests that the speakeasy was home to members of the mob and many questionable deaths. more violent than we thought? Could the spirits of the fallen still be found at this historic hotel? The Paranormal Research Society of New England and it's founder, the legendary John Zaffis, reveal some of the most compelling paranormal evidence ever captured in this groundbreaking documentary. You'll see and hear EVP's (electronic voice phenomena), video evidence, and psychic photography captured at the Vernon Hotel over several investigations. You will hear true eye-witness testimony of paranormal occurrences experienced at the Hotel Vernon. John Zaffis has over thirty six years of experience studying and investigating the paranormal. He has had the opportunity to work for and with his aunt and uncle, Ed and Lorraine Warren. This sent John beyond looking for ghosts and hauntings and into studying demonology under the Warrens. This led into John's involvement with cases of possession and exorcism and working with prominent exorcists in this field. Roman Catholic priests, monks, Buddhists, rabbis and ministers. John has assisted and worked with well-known exorcists Bishop Robert McKenna, Malachi Martin and the Rev Jun. Zaffis has over thirty years experience as a paranormal investigator. Zaffis admits that he at first was very skeptical of the existence of ghosts. It wasn't until one Wednesday evening when he was sixteen that Zaffis saw a transparent apparition at the foot of his bed shaking its head back and forth. When he told his mother of the incident, Zaffis learned that his grandfather, when he was alive, always shook his head when he was upset about something. In the next few days, Zaffis' grandmother, who lived with him, died. It was this that peaked Zaffis' interest in the paranormal and set him about talking to authorities in the subject and reading about the paranormal. Zaffis spent his first years studying under his uncle and aunt Ed and Lorraine Warren, both demonologists. What he learned from his aunt and uncle went far beyond his original interests in ghosts and haunted houses.He became interested in demonology from a young age,which led into Zaffis's involvement with cases of possession and exorcism and working with prominent exorcists in that field. He has studied the work of Roman Catholic priests, monks, Buddhists, rabbis and Protestant ministers. Zaffis has also taken part and assisted with the work of such well-known exorcists as Bishop Robert McKenna, Malachi Martin and the Reverend Jun. Rosemary Ellen Guiley is a respected author of several great books on the paranormal and supernatural. She has written 41 books, 8 encyclopedias and hundreds of articles on a wide range of paranormal, spiritual and mystical topics. Her work has been translated into 14 languages and has been selected by major book clubs around the world. She appears in television programs, documentaries and films with paranormal themes, and makes numerous media and lecture appearances, including colleges and universities. She is an occasional guest on Coast to Coast AM with George Noory, and is the featured paranormal expert with a monthly report on the Richard Syrett Show, Toronto, and Scott Colburn's Exploring Unexplained Phenomena, Lincoln, Nebraska. She is a columnist for TAPS Paramagazine, a consulting editor of FATE Magazine, an associate editor of JAR, the Journal of Abduction-Encounter Research, and a blogger for the Arts & Entertainment blog site, Paranormal Insider. She is a member of the League of Paranormal Gentlemen, a team of paranormal investigators that work for Spooked Productions on docu-dramas about paranormal cases. Guiley makes frequent first-hand investigations of haunted places, and is a featured investigator and presenter at many TAPS haunted weekend events, featuring Jason Hawes and Grant Wilson. She is the Maryland representative for John Zaffis's Paranormal Research Society of New England, which focuses on negative haunting problems. Guiley holds a BA in Communications from the University of Washington, Seattle. Prior to becoming self-employed as an author, she worked as a news journalist, magazine editor, and internal communications editor for IBM. In 2001 she obtained a PhD from the International Institute for Integral Human Sciences, in recognition for her work in the field. Visionary Living, Inc., formed in 2000, is her umbrella company for her publishing and media work. Guiley lives in Maryland near Baltimore. The Encyclopedia of Demons. Facts On File, 2009. Spirit Communications. Part of the Mysteries, Legends and Unexplained Phenomena series. Young Adult. Chelsea House/Facts On File, 2009. Ghosthunting Pennsylvania. Clerissy Press, 2009. The Encyclopedia of Ghosts and Spirits. Facts On File, 1992. Second ed. 2000. Third ed. 2007. Award of Excellence from the American Library Association. Ghosts & Haunted Places. Part of the Mysteries, Legends and Unexplained Phenomena series. Young Adult. Chelsea House/Facts On File, 2008. The Encyclopedia of the Strange, Mystical and Unexplained. Gramercy Books/Random House, 2001. The Atlas of the Mysterious in North America. Facts On File, 1994. Harper's Encyclopedia of Mystical and Paranormal Experience. Harper San Francisco, 1991. Moonscapes: A Celebration of Lunar Astronomy, Magic, Legend and Lore. Prentice-Hall, 1991. The Encyclopedia of Magic and Alchemy. Facts On File, 2006. The Encyclopedia of Vampires, Werewolves and Other Monsters. Facts On File, 2005. Vampires. Part of the Mysteries, Legends and Unexplained Phenomena series. Young Adult. Chelsea House/Facts On File, 2008. The Complete Vampire Companion. Macmillan, 1994. Vampires Among Us. Pocket Books, 1991. Nominated for the Horror Writers of America Bram Stoker Award for best paranormal nonfiction. The Encyclopedia of Witches, Witchcraft & Wicca. Facts On File, 1989. Second ed. 1999. Third ed. 2008. Witches & Witchcraft. Part of the Mysteries, Legends and Unexplained Phenomena series. Young Adult. Chelsea House/Facts On File, 2008. Dreams and Astral Travel. Part of the Mysteries, Legends and Unexplained Phenomena series. Young Adult. Chelsea House/Facts On File, 2009. The Tao of Dreaming. (With Sheryl Martin, OMD) Berkley, 2005. The Dreamer’s Way: Using Proactive Dreaming for Creativity and Healing. Berkley, 2004. Dreamspeak: How To Understand the Messages in Your Dreams. Berkley, 2001. Dreamwork for the Soul. Berkley, 1998. The Encyclopedia of Dreams: Symbols and Interpretations. Crossroad, 1993; Berkley, 1995. Breakthrough Intuition: How To Achieve A Life of Abundance by Listening to the Voice Within. Berkley, 2001. The Encyclopedia of Angels. Facts On File, 1996. Second ed. 2004. Angel Magic for Love and Romance. Galde Press, 2005. Ask the Angels. Element/HarperCollins, 2003. Hampton Roads, 2008. I Bring You Glad Tidings: Inspiring True Stories of Christmas Angels. Pocket Books, 1999. An Angel in Your Pocket. Thorsons/HarperCollins, 1999. Angels of Mercy. Pocket Books, 1994. A Waldenbooks best-seller. Fairies. Part of the Mysteries, Legends and Unexplained Phenomena series. Young Adult. Chelsea House/Facts On File, 2009. Tales of Reincarnation. Pocket Books, 1989. Revised edition Galde Press, 2008. The Mystical Tarot. New American Library, 1991; Signet, 2001. The Angels Tarot. HarperSanFrancisco, book and deck set,1996. The Alchemical Tarot. Thorsons/HarperCollins, book and deck set, 1995. The Quotable Saint. Facts On File, 2002. The Encyclopedia of Saints. Facts On File, 2001. A Miracle in Your Pocket. Thorsons/HarperCollins, 2001. Prayer Works. Unity House, 1998. Wellness: Prayers for Comfort and Healing. Pocket Books, 1998. Blessings: Prayers for the Home and Family. Pocket Books, 1996 and 1998. The Miracle of Prayer: True Stories of Blessed Healings. Pocket Books, 1995. AND PLEASE GHOST HUNT RESPONSIBLY! JUST NOT ENOUGH WHITE NOISE? and get publicity for your group and website! and other ghost hunting experts suggest you should know before you book your stay in a actual reported haunted hotel stay. BOOK A FLIGHT? NEED TO MAKE YOUR HOTEL RESERVATION? RENT A CAR? TAKE A CRUISE? PLAN OUT YOUR DISCOUNTED HAUNTED GHOST, PARANORMAL OR UFO CONVENTION TRAVEL RESERVATIONS HERE AT DISCOUNTED PRICES!